Suzette is the founder of Being Tea, offering education-based programs and project consulting. She is a professional trainer and taster of 15 years, and travels extensively for her work. She spent over a decade managing training programs for leading US tea companies before creating Being Tea in 2015. 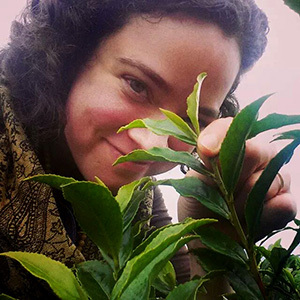 Suzette is also the Deputy Executive Director for the American Specialty Tea Alliance, and collaborates with the International Specialty Tea Association, World Tea Academy and presents at World Tea Expo. Suzette is the recipient of the 2018 World Tea Award for Best Tea Educator and has been part of the Northwest Tea Festival since its very first year. You can reach her at beingtea.com or patreon.com/beingtea.